Some of the more astute readers of Labelscar may have noticed that we quietly launched a new feature the other day, accessible via the page navigation in the top right of the page. All the Malls of New England is modeled after our friend Mitch Glaser’s similarly-named All the Malls of Southern California, where I’m going to seek to catalog positively everything in my little corner of the country. 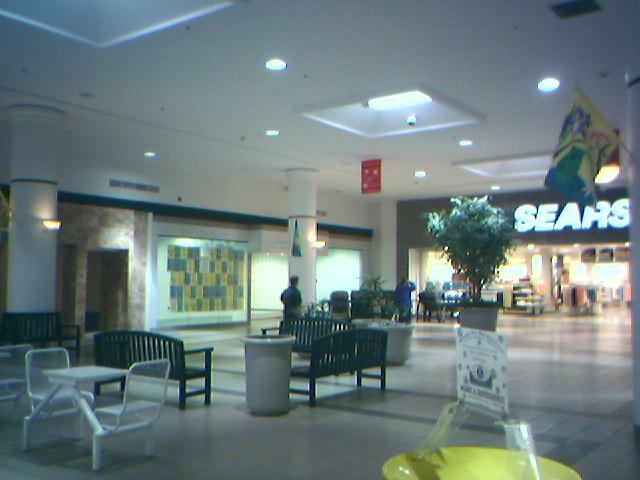 There’s really no better place to start than at the end: the last New England mall that I visited, in June of 2005. As you might imagine, it’s also–by some measure–the most remote mall in New England: Presque Isle, Maine’s Aroostook Centre Mall. Now, for those of you who live outside of New England, it may take some additional explanation to show just how remote that Aroostook Centre is. Located seven hours north of Boston (making it only marginally closer to Boston than Baltimore, Maryland) in the plains of northern Maine, this half-a-million square foot mall is perhaps the primary attraction in Presque Isle, the keystone city in Aroostook County, Maine. Aroostook County itself is a large, rural, impoverished county located in extreme northern Maine. It’s the largest county in land area east of the Mississippi River and is known mainly as a somewhat faded potato farming region. Presque Isle (with a population of approximately 10,000) is so far removed that it’s even home to its own tiny television market. Presque Isle is located a relatively short distance from the New Brunswick border, and is within an hour or so of the Quebec border. It’s about 150 miles north of Bangor, the closest city. 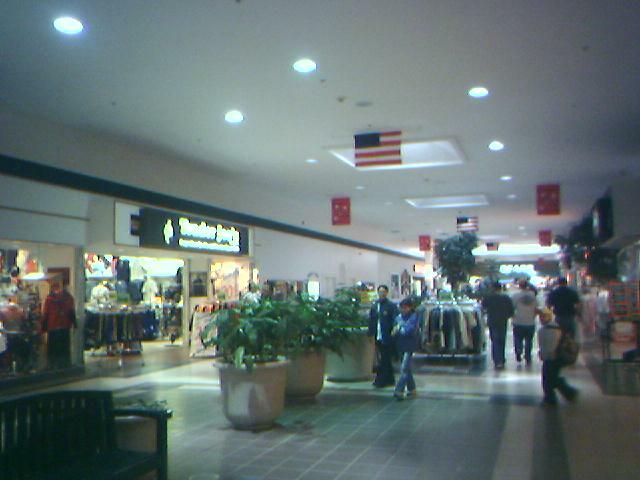 Strangely, Aroostook Centre Mall is the third largest mall in Maine, trailing only after the state’s only two major malls in Portland and Bangor. Even Lewiston/Auburn, the state’s second largest metropolitan area, doesn’t host a mall as large as the half-million square foot Aroostook Centre. Still, Aroostook Centre seems to have been built in a fit of optimism in the early 1990s and opened in 1993, out of the hopes that Canadian shoppers would flock to the mall for American goods and inject much-needed tourism dollars into struggling Aroostook County. Clearly it hasn’t happened. 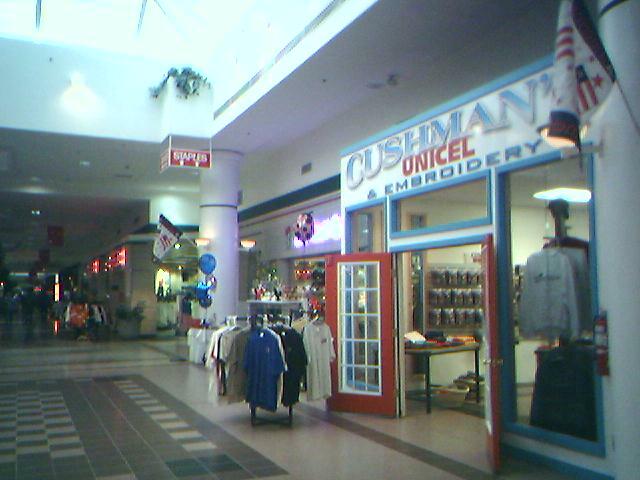 The thing to remember about this mall was that 1991 or so was when the Canadian cross-border shopping craze was at its height. The GST (a nationwide 7% sales tax that has since been reduced to 6%) had just been introduced. Houlton and Calais (closest Maine towns to Fredericton and Saint John NB respectively) became temporary boomtowns. Unfortunately, by the time it actually opened, the madness had subsided due to new Canadian duty rules. It was also around this time, perhaps coincidentally, that Wal-Mart entered Maine. It also was too far from any major Canadian population centres to be that big a draw. People in Fredericton, still a good 2+ hours away and the closest Canadian city of any appreciable size, still drove the extra hour, along a better road, to Bangor, if they still shopped across the border at all (and don’t get me wrong, they still do – witness the New Brunswick license plates at the Bangor Mall or the Houlton Wal-Mart). The most recent development: the adjacent movie theatre, the only one in Presque Isle, closed last year. A Lowe’s is replacing it. There were plans earlier this year for another theatre inside the mall, but I’m not sure if it actually happened. Even if it is built, it will only have half the screens as the former one. That right there is the story of Presque Isle and this mall in a nutshell. 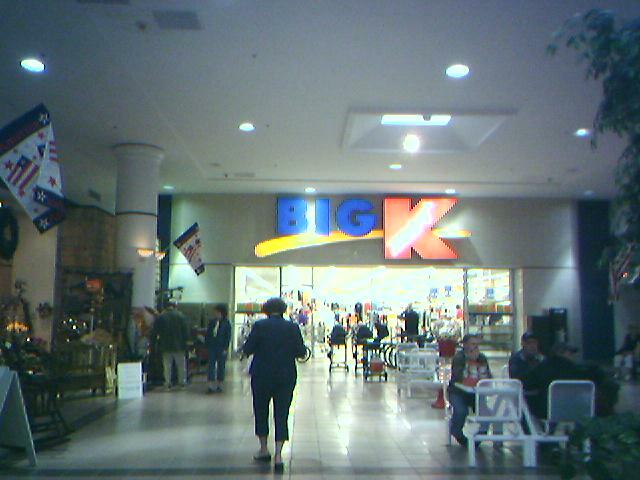 Perhaps the most telling element of this mall was that, upon my visit in June 2005, I noticed a group of teenagers walking through the mall wearing Old Navy T-shirts. There’s no Old Navy in this mall; they had to have bought those shirts way down in Bangor. Wow, thanks JP! That’s a great bit of information. I’m actually going to update the post with some of these details. Why didn’t you include in your history/summary of the mall, the recent banckrupcy/sale at 50 cents on the dollar, transaction? Identify old sellers and new buyers, Just a thought. Make any sense? I actually wasn’t able to find anything about this. Would you be able to elaborate at all? I would be happy to go back and edit the article with some new information but my web searches are turning up empty. I believe I read about the aforementioned PI mall transaction in the Presque Isle Star Herald. Within the past year, I think. I’m not as sure as I used to be, because I’m getting older. You may skip publishing this reply. It doesn’t make a lot of sense. The Aroostook Mall and other business’ would do even better if they would get together with motels and hotels and have week-end shopping get away specials for WOMEN. The K-mart in the mall needs to get some color in its store.The mall has potential in attracting stores.I do not know the rent for space .But I would rather have a full tenant mall then one that will not attract shoppers.There isn’t even a Wendy’s in Presque Isle.The food court in the mall where the seating is could be done over with some umbrella tables. The way it is now it is so cluttered. The mall would even do better if maybe it would do a 10% exchange on the cdn dollar. You might say oh we can not do that.Well which is it try to make a dollar or close your doors. Go for it !!!!!!!! I can’t see how specials would work. The only people that would come to the mall are those in Aroostook County and northwest New Brunswick that could easily make a daytrip of it anyway without having to stay overnight. There’s more worth going to in Bangor or even Fredericton (and living in Fredericton, I know how many women go on shopping trips to Bangor or Moncton for even more). The market is just too small, too isolated, and too economically depressed for many more national chains to enter. They built the mall bigger than it had to be for an influx of shoppers that never came. We’re seeing the effects of it now. I don’t really know for Aroostook Centre Mall but the canadian cross-border shopping craze is here again. The canadian dollar reached parity and is now worth more than the U.S. dollar. A lot of people from everywhere in Canada are traveling to the U.S. for bargains on everything: milk, books, I-pods, TV’s, beer, groceries, ATVs, clothing and cars! I was in Augusta this week-end and i saw nearly 50 cars from New Brunswick and Nova Scotia in the parking lot at Christmas Tree Shops. Cars from atlantic provinces were seen everywhere in town. I can imagine that Bangor, Houlton and Presque Isle are getting a lot more of these shoppers now. It’s probably good news for Aroostook Centre Mall !! I checked out the ACM website…just curious about the list of stores. What a weird list. And I see there’s a Trader Joe’s. Almost had a heart attack – what I wouldn’t give for a TJ’s here in Portland!!!!!!! Smosh, it’s not the Trader Joes that you’re thinking of. I looked at the directory a few months ago, and thought the same thing. It’s just some local clothing store using their name. @John, Actually Trader Joe’s is named for Joe Sleeper, whose family have been in retail for 50+ years. I expect that the local Trader Joe’s was using the name long before the grocery store. They sell clothing (North Face, etc. ), and have franchises throughout rural Maine. Now that the grocery story Trader Joe’s is in Portland, it will be interesting to see who wins the name game (no mystery there). The Aroostook Centre Mall might not be as cool as other malls, but it doesn’t help that you put it down. It serves its purpose and as a native of Presque Isle I enjoy spending an afternoon here and there at the mall. It has what it needs and the stores in it are run and owned by people we know and the money stays in the county supporting our economy. I just wondered why they will not build TJ Maxx, Target Mall in which Aroostook county will benefit because Canadian Dollar is at par with the US Dollar in that case, it will be good for Aroostook county’s economy and people here doesn’t need to travel for 3 to 4 hours going to Bangor. Having been from Presque Isle originally and lived both outside of Maine and in Maine’s more populous southern region, everything about Presque Isle is entirely about perception. People in the area still have not come to the conclusion that they are on their own and in control of their own destiny. It is NOT a destination area nor will it ever be. It is however, the largest population area for more than a couple hundred miles within the United States. Yes, Fredricton, NB is a good 2 1/2 hour drive away, but the purpose of the mall in Presque Isle was never truly to bring Fredrictonites to Presque Isle, not when the Bangor Mall is not that much further. There are however, a good 150,000+ Canadians living within an hour drive of the Aroostook County border. Presque Isle is so far away from ANY community larger than it that it must have everything to remain self sufficient (hospitals, colleges, and shopping facilities). Presque Isle’s biggest weakness is its own people not advertising itself properly to potential visitors and investing businesses. Case in point, most people even in the State of Maine don’t realize the mall exists let alone that it is one of the top five largest enclosed single shopping mall facilities in the state. Maybe the mall would make it if they employed a new manager who was trained in the business of running a successful mall. At least Aeropostale should come up here, i think out of the 3 (AE, Aero and Old Navy), that would be the one that would found up here. I’ve even found a perfect place for it in the mall, right near JCPenny like where it is in the Bangor Mall. You would see easily 3x the traffic and people there, especially the opening day. It would do VERY WELL here. It’s not too urban-ish like Abercrombie & Fitch and would fit in this mall. Anyone interested in bringing Aeropostale to the Aroostook Centre Mall? i might be going out on a limb here but I feel it could do well. I agree with everyone else, The place needs to grow and have clothing stores that has quality and names that will fit the taste of young population. We don’t need to travel way down south just to get quality clothing. It’s so nice that Hampton Inn is coming to the city it may attract some retail store to start their business where people from nearby county could stay overnight for shopping. Great site! I lived in Maine for quite a while, and when I heard they were building this thing it seemed like an answer to a question nobody asked. It was hard to pull for the thing when one was wondering if anybody involved in the project had bothered to study a map; still, I hoped for the best…in vain it seems. Has any other book store replaced B. Dalton? I was so sorry to see that store close. I moved here from NYC 18 years ago and it took me a long while to get use to things. I missed the wide variety of shops, boutiques, malls, markets and more. But the longer I’ve lived here in Presque Isle I’ve truly come to love it. Unfortunately the mall is not a mall it’s just a roof over a few stores that are trying to make it. I think there are 3 stores that are from the original since it opened. Now when you go into the mall all you see are signs on the tables telling you not to bring in food from the outside. I guess no one is thinking outside the box of their small minds, that maybe just maybe the mall does not offer food to meet everyones DIET. There are vegans, vegetarians, lactose intolerant, bariatric surgery patients, babies, toddlers, and the list goes on. I guess it never occured to anyone that maybe the mall does not offer food for everyones likes. All you’re doing is pushing people, yes customers that were going to spend there money there and in the county to spend it elsewhere. Wake up and get real. Then we have the “mall cops” oh yeah big time crime goes on here. A kid runs and you’re ready to arrest him/her, mind you the mall is near empty. I hate to see if there is a fire, guess you’ll ask them to file out in a single line. Like that is going to happen. Then we have the No taking of pictures, give me a break. Next you’ll be charging a fee to get into the mall. Like I said keep it up and when the mall closes and you’re out of job, while you’re sitting back collecting unemployment wages think about why the mall closed. Like someone else already posted, people are taking their business/money to BANGOR!! I think that a lot of people who go to Bangor are missing out on a well kept secret. Presque Isle has almost all of the major chain stores, and is a lot less hectic than Bangor. I started using Presque Isle approximately 5 years for just that reason. For the few chains that are not in the area, there is always shipping. There is a rumor going around that the mall will soon pursue renovations in preparation for the addition of a T.J Maxx. That would surely give this mall the uplift that it needs. There’s a whole lotta talk and not one clear action in here. My husband was born and raised in the county, I lived there for many years and we are now moving back. Suggestions are only good when they are made to the right people. Complaining will get you nowhere. The county is unique for its subtle shopping and mom and pop shops. Just enough for the locals and not enough for the city-folk..which keeps the crowds south! However, the undercurrent that wiped out the mall isn’t from businesses shutting down for bigger places to go, its because of the introduction to the LARGEST ECONOMIC LEACH, Walmart opening its doors as a super Walmart. Kmart will never compete with Walmart because Walmart supports exploited labor, depresses the businesses in the economy and their tax donations to the largest California prison gang (Aryan brotherhood) was the straw that broke the camels back in my eyes. Look at the history of the Aroostook Centre Mall…it was perfect until the Super Walmart was built. Send your suggestions to the mall. Put the heat on them! Community support to keep an influx of variety into the mall will be the only thing that the landlords of the property will survive on and listen to. You all have great ideas…NOW USE THEM!!! The Aroostook Center Mall is a sad retail joke. Aside from JC Penny and Sears (places to get basics that everyone needs) the mall is a collection of local garage sales of junk that’s been on the shelves for years. The local shops that have replaced the chains move into the spaces without any thought to store fixtures and professional display – really, who is going to be attracted to shop for cheap and tacky quasi-Native American “crafts” on card tables. The management has allowed school kids and want to be artists paint horrible murals on the walls and the food court looks like the cafeteria in a prison. The most ridiculous thing ever is the fact that they added a Staples store, but you can’t get to it from inside the mall (you have to drive around the back or use a make-shift hallway that looks like a storage alley). It would be nice of bigger chains would come to the mall, but if i were a national chain, I’d have to think twice before moving into this dump of a mall. I’ll continue to shop in Bangor, Portland, and on-line. The place had decent potential when it opened. Of course that was ruined, particularly because it was run by a bunch of incompetent fools. 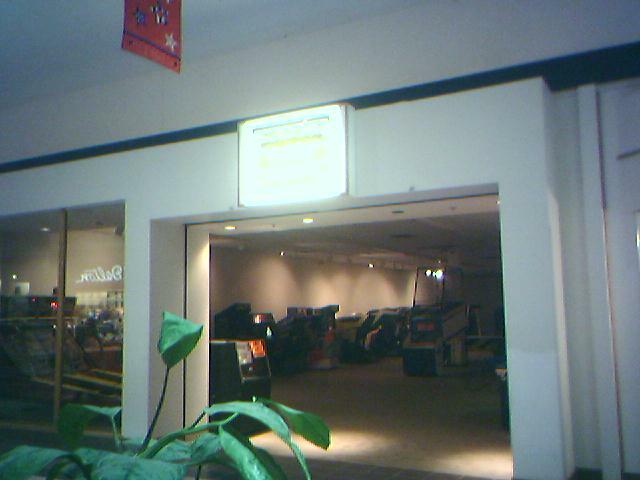 Now when I think of the Aroostook Center Mall, I think it’s about as useful as all the dust collecting in the room where the old arcade was. The Aroostook Centre Mall is a farce! 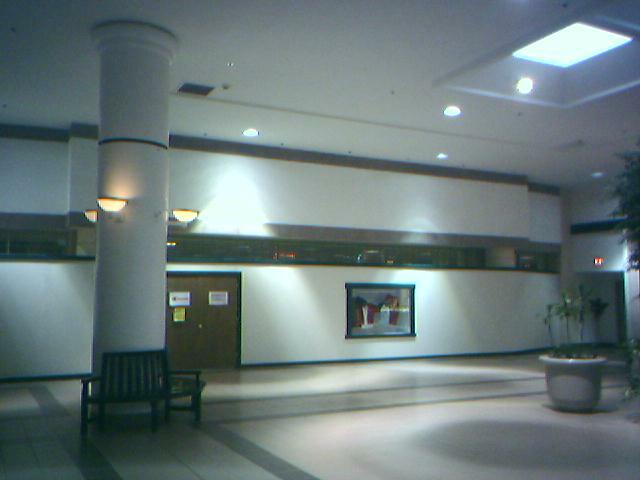 Half the mall is emtpy, because the stores that were there can’t afford the ridiculous price of rent. Kmart can’t compete with Walmart becaues it’s prices are extremely high compared to Walmart. If I need a mop and it’s $9 at Walmart and $13 at Kmart, it’s a no brainer! Some of the Kmart employees are dressed like they just rolled out of bed, the body odor is atrocious, they are too busy conversing amongst themselves to be helpful. That store is a disaster and frankly I am surprised it continues to be around. The food court is a joke – your choice is Chinese, Donuts or Ice Cream – well la te da – ain’t that special? And don’t you dare bring in a drink or sandwich from outside. I mean, everyone should be able to eat Chinese, Donuts and Ice Cream. Give me a break! The strollers are ancient and are in desperate need of an upgrade – you are lucky to fit a child in it – I guess you aren’t allowed any space to put your purchases. And let’s face it, the stores are much of a joke. Rent A Center in a mall? AS someone else said, a Staples that you can’t get to unless you walk down the creepy (and cold in the winter) hallway of death – heaven forbid some one came after you, no one would hear anyone’s screams in that “hallway”. Where is Gymboree? Where is The Children’s Place? Where is Gap? Where is Macys? Where is Lane Bryant? Where is Lerner? Where is Abercrombie & Fitch? Where are the fast food places? Where are all the typical stores that a mall has? Sears is a joke – they’ve got one or two registers now, and heaven forbid you are handicapped like my mom, you either need a wheelchair to get to a register or she can’t walk it to find it. Seriously, is it any wonder why people go south to shop? Or online shop? In this day of free shipping and big sales and coupon codes, it works out to be cheaper to visit my favorite stores online and give them my business then the little crappy stores in the mall. The website is updated somewhere between never and once a year. Heaven forbid you wanted to go to the website to see what special events are going on ….good luck cause they don’t update anything. It’s just a matter of time before the mall is non existent. Don’t blame Walmart – blame poor mall management and poor planning. The mall is on it’s last legs! The biggest problem involved in getting/keeping stores up here is that people need to make the money to spend up here. We are seeing nothing but generational welfare up here. No good paying jobs. No job security. Taxes. The list goes on and on…..Sadly when the trees are gone in 50 years there wont be anything left up here anyhow. The other big problem up here is the families that own bussinesses up here wont allow other bussinesses to come up here. Look in Caribou….The Collins, Sleepers, and Paradis families will not let others come to town. (keep in mind, Caribou was supposed to have the mall in the beginning) They want no other competition. Cant blame them but they have definitly contributed to the stifling of the economy. But, hell, what hasnt these days, right? 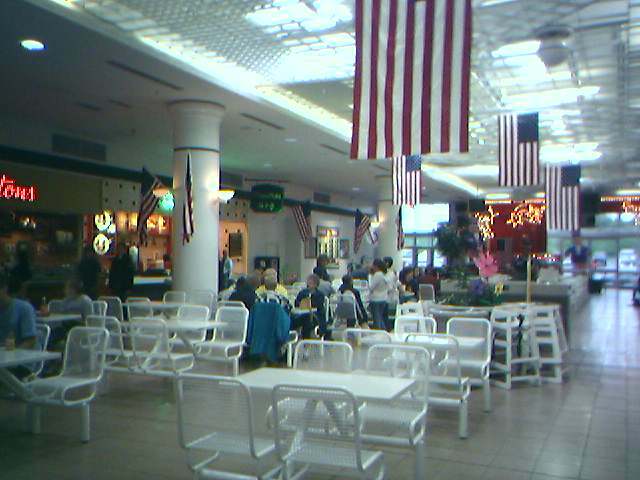 The mall has other place to eat that arent in the food court like koko’s cafe and Ruby Tuesdays. The book store has been replaced by mr.paper back. We also just got a new arcade. I am from a small farming community across the boarder in Canada, working for a major food processor in there IT department. My family loves the Presque Isle mall. It has anything we could ever want. Sure, there are better deals at other shopping centers, better selection if I traveled even to Bangor.. but to me and my family it would not be worth it. The people are friendly, prices are fair. Of course things could be better, but I think there is a balance, one that this city achieves. The only negative I see is the lack of good paying work in that area. I think the same can be said for a lot of places in North America over the last 5 years however. I hope them nothing but good fortune and prosperity for the future. TJ Maxx recently signed a lease with Sitt Assett Management for a 25,000-square-foot store at Aroostook Center Mall. Charter Realty & Development Corp. negotiated this transaction. I am a dedicated cross border shopper that was introduced to this gem last fall, and will make the 1.5 hr drive once a month from Fredericton for cheaper gas, some groceries, clothes, Bath & Body product, and other product that is cheaper than it is at home. It is an easier day trip than Bangor, and much less crowded-there may not be the same variety of stores, but perfect for a day trip-Bangor is a weekend trip. Regardless of where the dollar is at, some things are just cheaper in Maine and the variety is better. My family was from Aroostook, and I have great respect for The County. The selection of smaller stores in the mall is somewhat limited, but at least the anchor stores are there, and it’s great that TJ Maxx will be coming in. The saddest change to me has been in Caribou. When Sweden Street was half torn down in the 60’s for an urban renewal project, the buildings that Caribou got were NOTHING like the original plan had called for. I remember the days when Sweden Street had so many fine stores.I’m certain that Loring’s closure had a devistating effect, but the bizarre traffic pattern through Downtown Caribou certainly doesn’t help things. On my last visit to Caribou, I noticed that Miller’s was gone. It’s a shame that the citizens of Caribou have to travel to Presque Isle for most of their shopping. Caribou and Presque Isle are very close in population. But even without a strong retail base, Caribou, like Aroostook, has a lot to offer. It’s people who make a place home, and you can’t find nicer people than those of Aroostook! It was announced today that Staples will close soon at the mall. I lived in Presque Isle for several years as my husband was stationed at Loring Air Force Base. We lived in the military housing on Morningside Drive. I worked at Sears when it was located on Main Street. I remember how excited all the associates were when the mall was being built. Such a shame to hear it is not doing as well as expected. I’m sure the closing of the base has had a significant effect. And with the economy being the way it is now it’s just another added blow to the local economy of the area. It’s not much different where we live now (northern New Hampshire) what with the area wood mills closing and all. Looking forward to visiting the county this fall when LAFB has a reunion of sorts. I have fond memories of Aroostook County and I wish LAFB had never been on the closure list. Sears is closing in the mall. Sears announced on Thursday that they revered their decision about closing their store at the Aroostook Centre Mall in Presque Isle. The store will remain open after a new lease agreement was reached with the mall owners. This same thing happened in 2012 when Staples announced their closing. Other news: Fashion Bug closed earlier this year but has been replaced by Label Shopper. Dollar Tree also opened earlier this year nearSears. There is no mall entrance to the store so it has not helped foot traffic in the mall. Turns out the Sears reprieve was only temporary; they will close in January 2015. The Staples at the Mall has closed down as well. There *is* another movie house in PI – The Braden Theater. The local economy continues to be in free fall. Caribou does have a tiny mall at the head of Sweden Street – more or less completely empty. One of the Malls of the Living Dead.